The German legal theorist Günther Jakobs elaborated a distinction between two criminal laws: one for “citizens” and another for “enemies”. For Jakobs, the latter includes the rabble, radical opponents, thugs and rogues, “terrorists”, “anarchists”, in sum, all of those who fail to sufficiently respect the reigning democratic order and thereby represent a “danger” to the “normative structure of society”. Should not then such “dangerous individuals” be treated as enemies of society? Do they not exclude themselves from ordinary criminal law, justifying the elaboration of a criminal law for enemies? (33) But to elaborate a law for enemies, is to erase the Schmittian distinction of friend-enemy, which places the enemy outside a constituted sovereignty. That is, it makes all of us potential enemies, it renders the exception normal, thus destroying “normal” criminal law altogether. 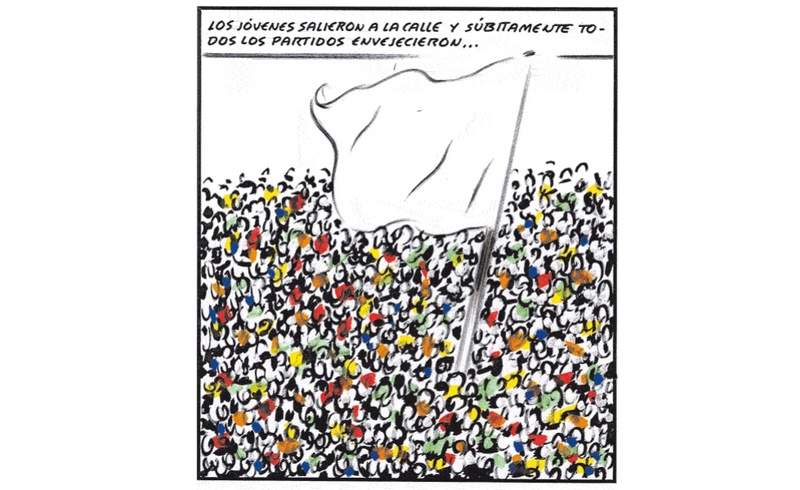 (The example of the increasing criminalisation of dissent in Spain in the wake of 15M, with the law of Citizen Security of 2013 and the recent police operations, pandora and piñata, against anarchists, is but one example among many today). This entry was posted in Commentary and tagged 15M, france, Günther Jakobs, Invisible Committee, Nuit Debout, spain, Tomás Ibáñez. Bookmark the permalink.